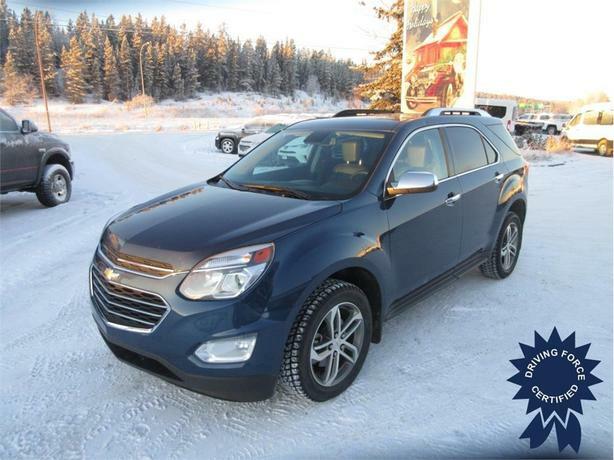 If you're in the market for an SUV, the Chevy Equinox is worth your consideration. Its exterior is decked out with fog lamps, aluminum wheels, daytime running lights and a back-up camera. Interior features include WiFi hotspot technology, smart device integration, universal garage door opener, heated front row seating and air conditioning. It's powered by a 2.4-litre four-cylinder engine, all-wheel drive and six-speed automatic transmission. Give us a call and book your test drive today!